I used various 6mm models in Battletech games and I completed an obsessive phase of my life in a search of quality 6mm scale cars and trucks which would suit Battletech. There are some interesting scale models that you can find on architectural model making supply sites but they tend to be bland looking in comparison to the out of print GW range. 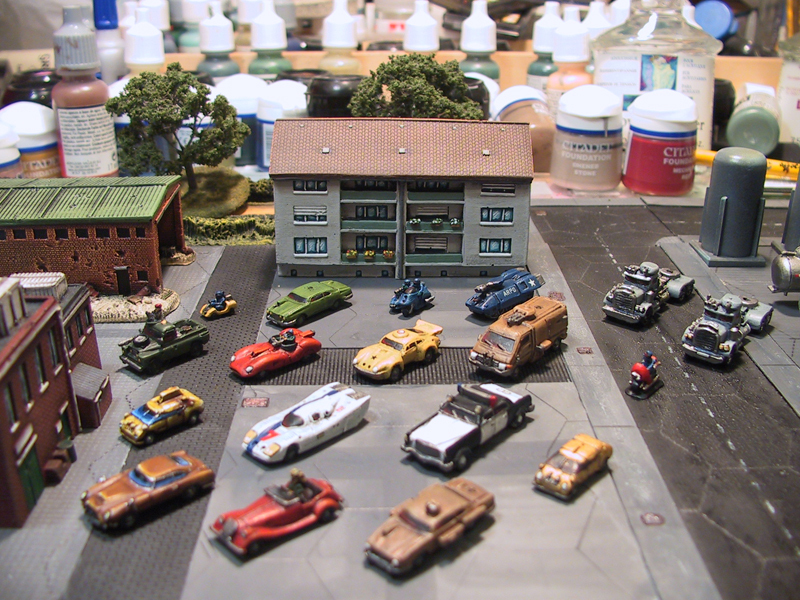 In these photos you can see the 6mm Games Workshop battlecar range with some buildings from Timecast. Timecast produce a great range of 6mm, 10mm and 15mm buildings for a mix of historical periods and I find most of the 20c modern buildings are perfect for SCI-FI or modern gaming in 6mm. 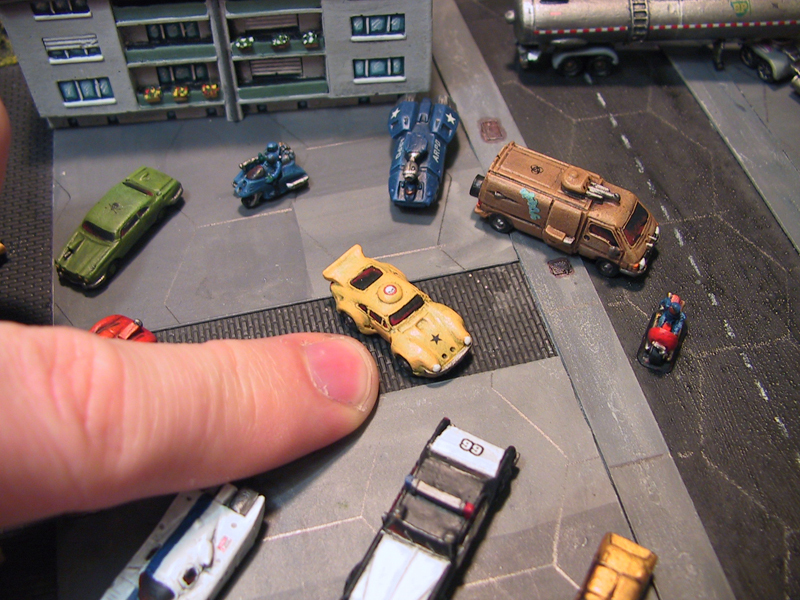 The terrain boards are plasticard with different textured card I layered to provide a city look. The trees in the background are from Realistic Modelling who have some the finest pre-made trees in 6m, 15mm and 28mm. 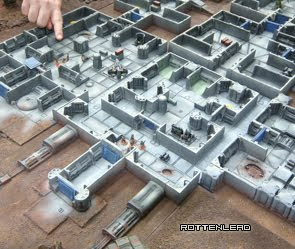 Realistic Modelling also build terrain boards to order, the quality is close to architectural modeling. That is a great looking set up bro, very very nice. How long did it take you to get it done?